Cocky. Conceited. Arrogant. Just a few of the words commonly used to describe Zlatan Ibrahimovic. But are they actually accurate? For example here is one definition: ar·ro·gant /ˈarəgənt/ adj. : Having or revealing an exaggerated sense of one's own importance or abilities. You see, those words describe someone with an exaggerated sense of his importance or abilities. But I offer you this challenge to the typical view of Ibra: Have you ever considered that he actually is as important and talented as he thinks he is? Perhaps his self-image is not actually exaggerated? 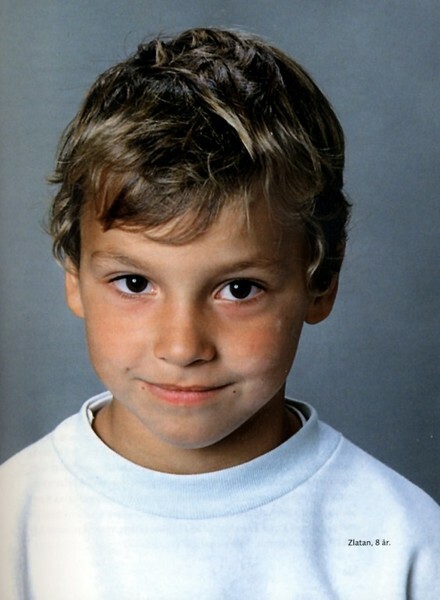 I have often said that Ibra is full of awesome. There is no one I know of that embodies this phrase better. He is big – a giant amongst forwards. But he is very agile and very athletic, too. He has spent his life committed to developing his mad skills, and it has paid dividends in full. He has an incredible vision, too. In his book, he talks about not really being able to describe how, but he just sees the plays in a split second. He sees the openings, he sees how to maneuver, and knows instinctively just what to do. He sees what usually no one else on the pitch sees until it actually happens. Most players would kill for this ability, but for Ibra, it is just second nature. What his teammates will tell you is how incredibly hard he works himself and how high his expectations are for himself. Unfortunately, he also expects the same of his teammates, and not all of them are willing or able to give the same effort. Still, he inspires them. As much as he is known for being selfish or a mercenary, he inevitably makes those around him better players, even if it’s by brute force. He's found a way to use his black belt in his football career. Speaking of brute force, it is his common usage of it that makes people label him words I can’t exactly type here. That and his rough language make people write him off as rude, disrespectful, a jerk, or worse. But one need not look any further than his background to see where these behaviors come from. They are a part of him like eternally inflated expectations are a part of British footballing culture. Personally, I find them a bit endearing, even if I’d never want to be on the receiving end of his physical prowess. All of these traits are part of what makes Ibra so full of awesome. As far as being a mercenary, it is unquestionable that Zlatan never was going to be bandiera material. His personality type is to move on to new challenges when he gets bored, no longer believes in his team or coaches or management, etc. And so far, that has served him well. By moving around so much, the excitement and challenges of new experiences provided him with the motivation to win – not just for him, but for the whole team. His record streak of nine straight league titles with five different clubs truly makes him the Mary Poppins of Football™, going from club to club as they need him. While it takes a special something and loyalty that is so rare nowadays to be a bandiera, it also takes a very special something for a player to play at so many clubs and so many different leagues and still be a dominating force in helping them win titles. In my book, Ibra gives the term mercenary a good name. Of course this latest move was incredibly controversial. It was obvious that Milan were breaking up with him for financial reasons. How people think our management are better than Ibra in this scenario is beyond me. If they couldn’t afford him, why did they buy him in the first place? Incredibly irresponsible. But Ibra didn’t leave without putting up a fight. First there was the rumored argument with management in which he allegedly asked if they truly did not have money and then he offered to write them a check. Then his negotiations with PSG for personal terms took a painfully long time, many noticed that he put up a much bigger fight than our supposed bandiera, Thiago Silva, and all during the negotiations he was surrounded by his Milan support group of Pippo and Abate, too. But in the end, he made sure his agent set him up nicely, and in his press conference, he said all of the right things, including that Milan had given him his smile back, something that has been noticeably missing since he left. reason for the Abate to PSG rumors. Milan, in contrast, have cleaned house with the players who made them, have an owner who was forced out of political office, yet is thinking of running again, and is constantly embroiled in legal troubles, including the biggest fine ever in Europe for any company handed down to Milan’s parent company for inappropriate business practices. Our management sold it’s two best players to balance the books, and are not at all transparent about where those monies will go or whether they will even be reinvested in the club. We have a manager who forced out the Senatori, as Gattuso has admitted, and also ruined the last two years of the career of Super Pippo for heaven only knows what reason. We are left with a team where “quality” players like Antonini and Bonera are 3rd and 4th in line for the captain’s armband, and people can honestly defend that our club is better than PSG? Ibra is right on this one. The only thing we have on PSG is a lot more trophies, a storied history, and fans that are both greater in number and passion. But most of that is history, partially because of the sale of Ibra, so I contend he is right. PSG at this point are better than Milan, and they are on the upswing while we are sliding down. But what he said shouldn’t be surprising, Ibra always calls it like he is, he has never been one to shy away from speaking his mind. He doesn’t fit the mold of the politically correct, homegrown footballer who is worried about his image. No, he’s the most incredible and successful footballer ever to come from Sweden, so he is like a God to the Swedish people. Ibra is so full of awesome, and just because he might be the first one to tell you that doesn’t mean it’s not true. 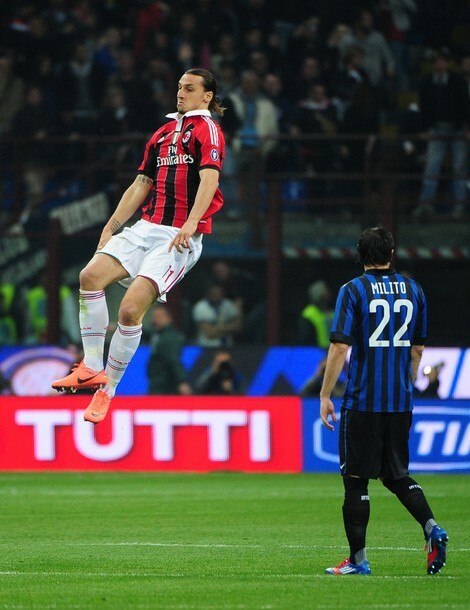 Grazie, Ibra, I will miss you more than you will ever know. 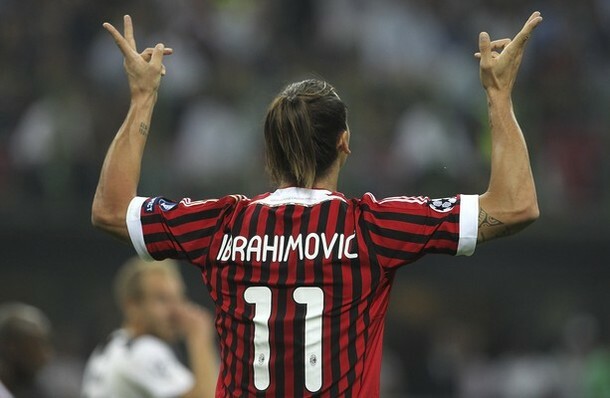 Thanks for giving the best two years of your career to Milan. Gilette Stadium, Foxboro, Massachusetts, U.S.A.